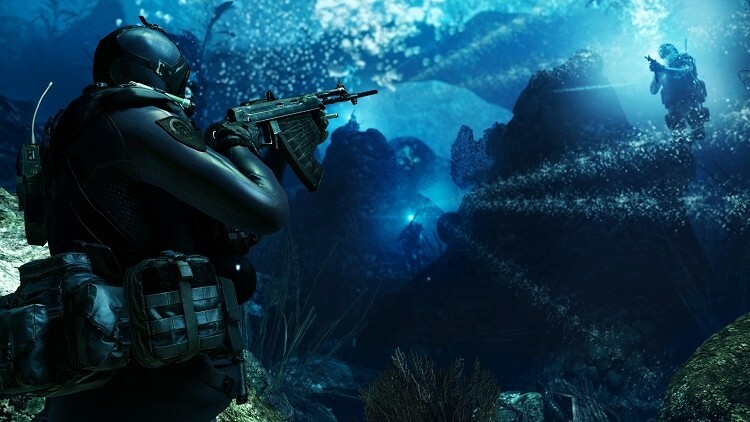 The PC version of Call of Duty: Ghosts will look better than those released for the PlayStation 4 and Xbox One. Previous PC releases in the franchise from Infinity Ward were created using the same graphics assets as the PlayStation 3 and Xbox 360 versions but with Ghosts, the PC is getting its own set of assets. During a recent interview, the game’s executive producer, Mark Rubin, said the PC version is going to look better than any Call of Duty they’ve ever made on the PC. That’s because the PC version will use higher quality textures than Microsoft and Sony’s upcoming machines. That’s saying a lot as the title already looks rather impressive on next generation consoles based on what we’ve seen thus far. Such news probably doesn’t come as a surprise to many as PC games have traditionally been able to outperform their console counterparts when properly coded. Earlier consoles were at least partially limited by resolution constraints of televisions but that isn’t as much of an issue now that HDTVs are the norm. While upcoming consoles are much more powerful compared to the PlayStation 3 and Xbox 360, they are still little more than highly optimized PCs at their core. That means the hardware will be outdated in a relatively short period of time while PCs enjoy a constant stream of new hardware releases. Graphics aside, all versions of Ghost should essentially play the same, according to Rubin.